No matter how clean you keep your house, a nasty carpet stain is bound to happen. Whether it’s food, dirt, pet accidents or all of the above, chances are you’re dying to remove it – and fast! But anyone who’s tried to scrub last night’s red wine out of a white rug knows it’s not always the easiest task. Sometimes no matter what you do, the stubborn blemish just won’t disappear. So what’s the secret to removing all stains and keeping your carpets looking clean and clear? A1 Sparkles will give you not one, but five secrets from cleaning professionals that’ll help you tackle even the most persistent stains. Extraction – When the stain hits the floor, your first instinct may be to scrub. But scrubbing grinds the particles further into the carpet. Using progressive pressure, blot the stain inward (not outward, because that will spread the stain). Repeat until your clean towels can’t absorb any more of the stain. Rinse – Following manufacturer’s directions, apply your favorite spotter, club soda, or our free carpet spotter. Apply the solution to the cleaning towel for light stains. For heavy stains apply directly to the carpet agitate and let dwell. You may need to repeat the process. Extraction – Repeat step one to get the spotter out. Other wise re-soiling will make the stain permanent. Dry – Hair dryers, fans, whatever your can do to dry the area fast. Steam – Call a professional carpet cleaning company to treat the area. 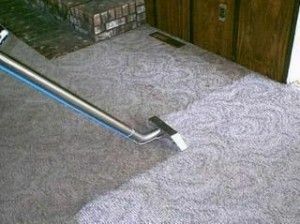 Call A1 Sparkles and Make Your Carpet Look Like New! Sometimes the stains are just too large or too difficult to tackle alone. But don’t worry, that’s why A1 Sparkles is here! We’ve been serving the Montgomery County area including Ardmore, Blue Bell, Merion and more for over 15 years, plus we use top-shelf equipment that can remove even the most stubborn stains! Just check out some of our reviews to see what satisfied clients are saying about us. Call us today at 610-292-9069 and find out why A1 Sparkles is the right cleaning company for you!